Along with it being my birthstone, the Opal is also one of my favorite gemstones. I love the variations in its milky colors. 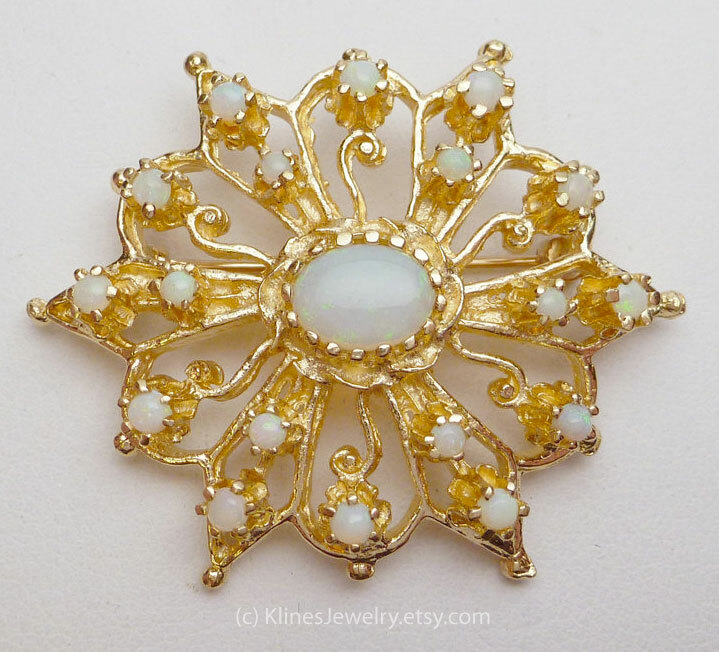 Some are delicately subtle like the ones in this 14kt Opal Medallion Pin as posted by master jeweler Marty of Klines Jewelry in Cocoa, Florida. Others are bold with flashes of bright colors from blues to greens to pinks to reds (we’ll see some of these throughout the week).